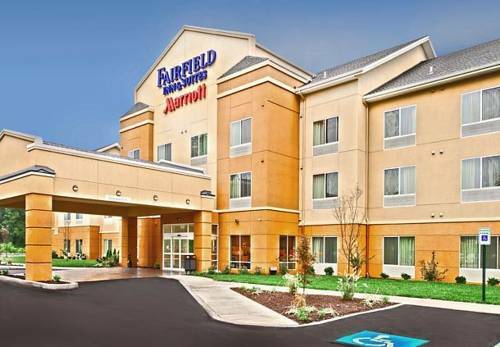 Fairfield Inn & Suites by Marriott Harrisburg West, conveniently located at the intersection of I-83 and I-76, gives you confidence that your trip will be a success. We consistently deliver a hotel experience that's just right. Ideally located, this Marriott hotel is a central point for trips to Hershey Park, downtown Harrisburg & State Capitol, Gettysburg, Carlisle Car Shows, the York Expo Center/Fairgrounds, and the PA Farm Show Complex among many others. The Fairfield Inn & Suites by Marriott Harrisburg West is perfect for business and leisure travelers alike. This New Cumberland hotel is also close to Fed Ex Ground Services, Highmark, and New Cumberland Army Depot/DLA and Naval Support Activity. Great value and great service, all backed by a name you can believe in: Marriott. Stay with us for the Keystone State Summer Games! Enjoy summer adventures at Roundtop Adventures with ropes course, ogo balls and more located 15 minutes away! !